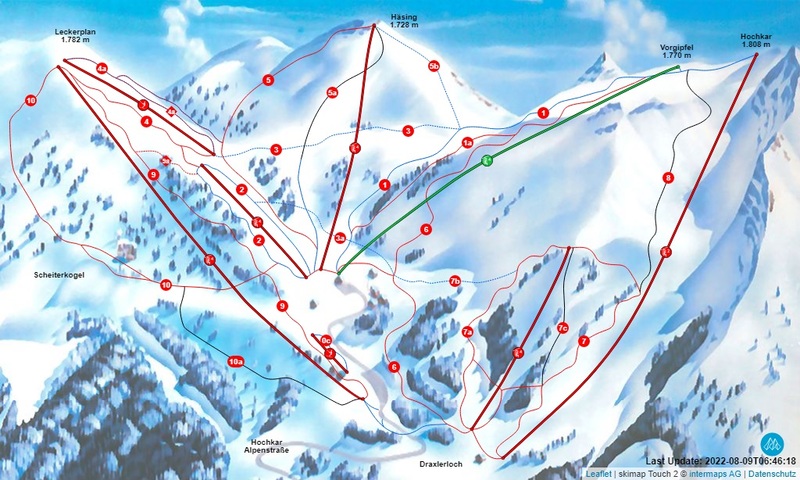 Situated only 150 km away from Vienna, the Hochkar is the largest skiing area of Lower Austria. Due to the very reliable snow conditions, skiing is possible from the beginning of december until the end of april. Brilliantly prepared slopes in all severities offer the right ski runs for pros and beginners. The Hochkar has repeatedly affirmed its snow reliability in poor winters. Additionaly, sufficient snow coverage is assured by the vast snowing plant.